There's just over a month to go until Father's Day. If there's one time of the year we can help people with gifts for men, it's for Father's Day. This month, we've dedicated our blog posts to everything for Father's Day - gift ideas, cards, quotes, inspirational stories, recipes and more. 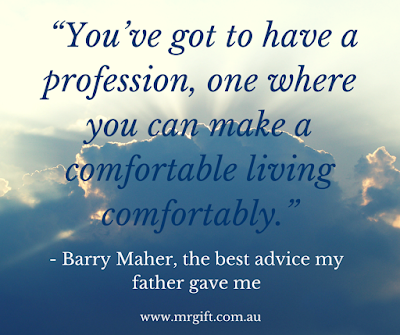 In our first post, speaker and author Barry Maher shares some of his Father's wisdom: "The best advice I ever got from my father took me awhile to absorb. But, eventually, while standing in a pool of sewage, holding a sewer rooter with a badly frayed chord, I realized the value of my father’s advice that “You’ve got to have a profession, one where you can make a comfortable living comfortably.” And I understood just exactly why he’d worked so hard to put me and my brothers and sisters through college. The lesson seems obvious. But my father understood it in a way that, growing up with far more advantages, I really didn’t. Because he’d watched his mother clean houses to support her family, and to manage to send him to college. Eventually he worked his way through Harvard Law and built a successful law practice. He tried to tell me repeatedly about the importance of having a good career and later, once it finally dawned on me that he had a point, his example taught me as well. Once it finally did sink in, I did everything I could to develop that kind of career, first building my own business, then working my way through the corporate world and eventually writing and speaking. Now I talk for a living, which I guess is the definition of making a comfortable living comfortably. It certainly beats unplugging toilets." 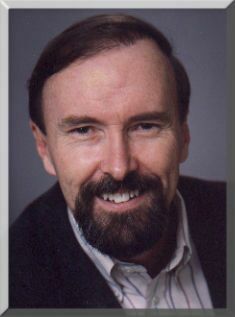 Barry Maher is a speaker and author, who is frequently featured in publications like the New York Times, the Wall Street Journal, the London Times, Business Week and USA Today. For more info visit www.barrymaher.com. 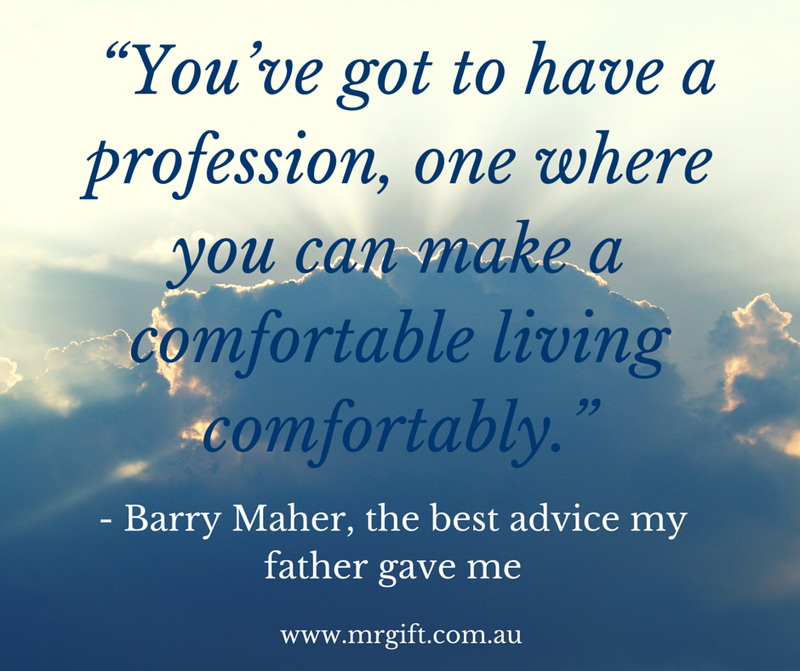 What was the best advice your father ever gave you?